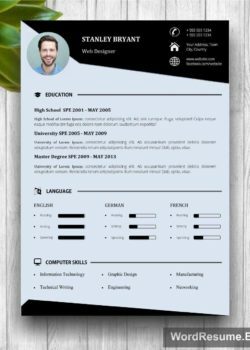 Usually, there are hundreds of CVs on the hiring managers’ desks and not all of them will be read. 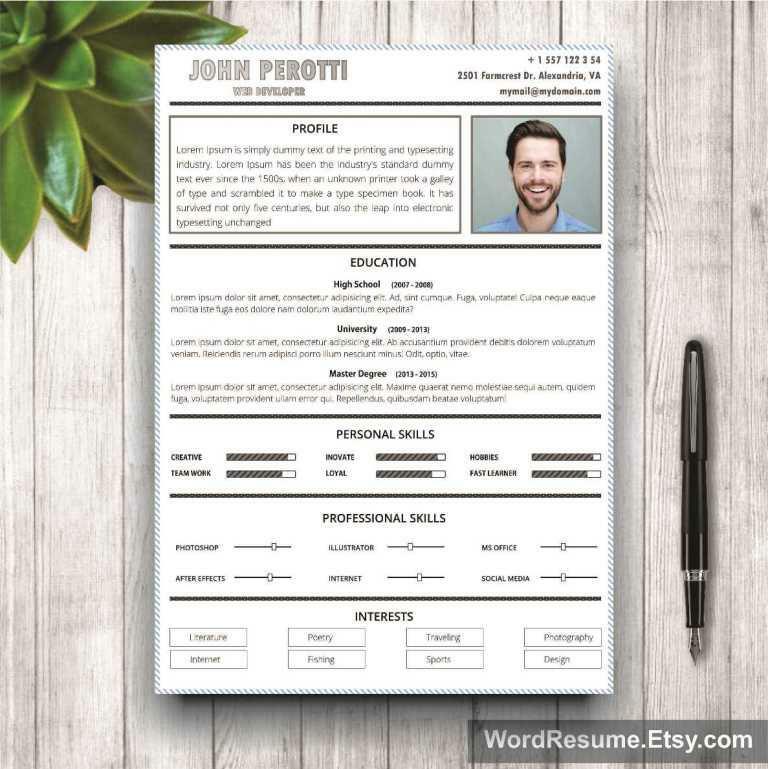 It only takes one look at a resume for the reader to decide if he wants to go through it all and this Resume Template is the one that draws the attention. 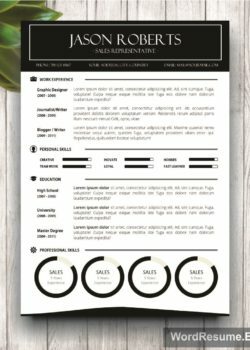 Not only modern but also professional, this CV template is helping you get noticed among other applicants in a subtle way. 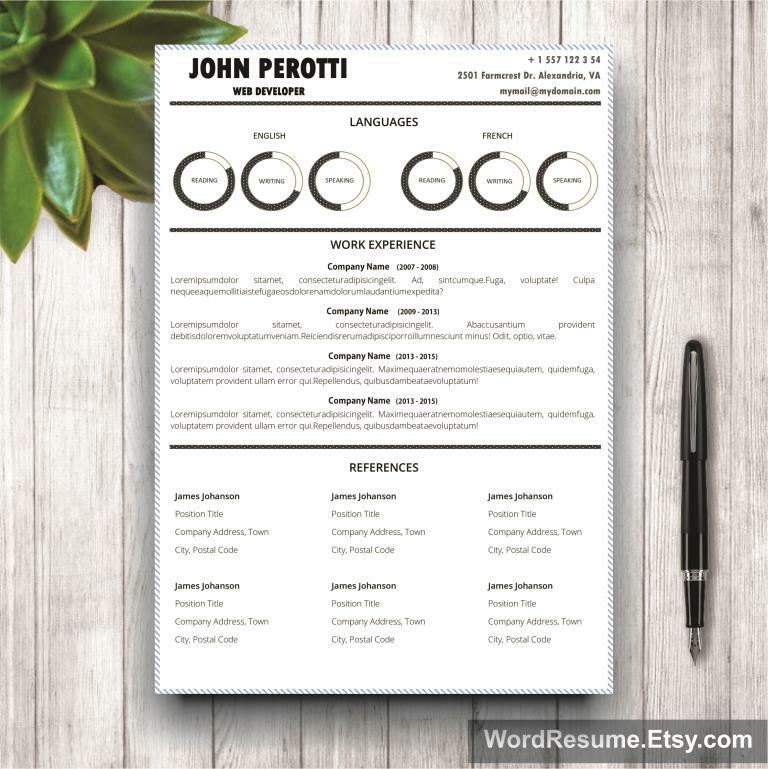 Being concise makes it just the kind of resume a potential employer wishes to read. 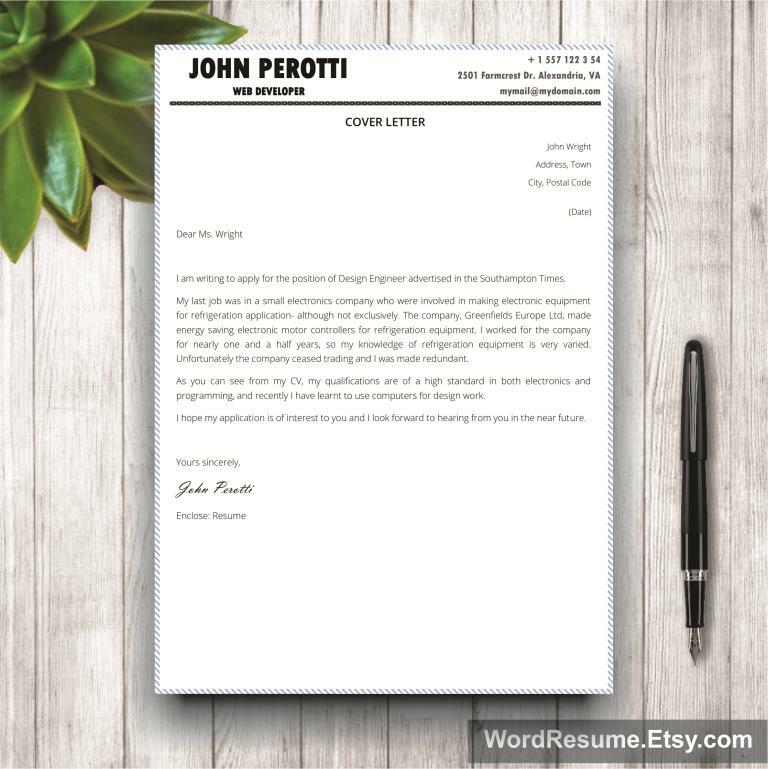 Sans font brings a light, softer touch to this modern piece. There is a famous saying ’Dress for success’, but how can you make a good impression if the employer can’t see you? 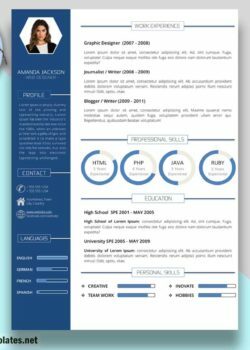 This professional CV makes all the difference in getting noticed by emphasizing keywords subtly and incorporating all sections properly. 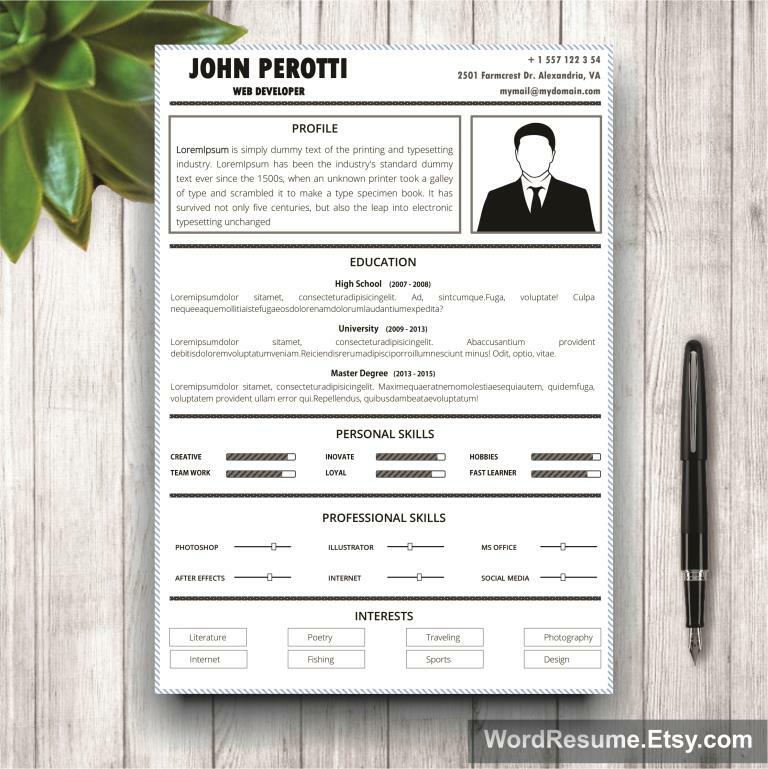 It has 2 resume pages and a cover letter to support your application and increase your chances of being hired! Download it instantly, receive all instructions and begin a new chapter of your life. 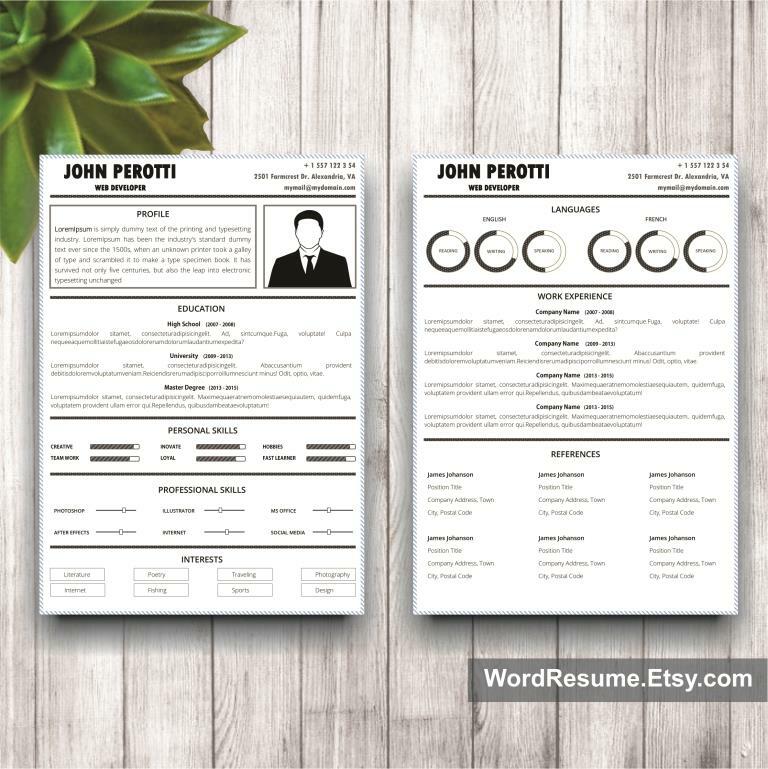 All designs are copyright and original to CreativeResumeTemplates.net.Template designs are for personal use only and may not be resold or redistributed under any circumstances.